I am delighted to welcome you to our luxury resort in Brittany, a true temple of weight loss. Come and experience pure wellbeing for your body and mind. The Sofitel Quiberon Diététique is THE slimming specialist. Tailored stays combine full-board dining in the Le Delight restaurant, a leader in weight-loss gastronomy for over 30 years, with innovative and effective seawater therapy, all with personalized care from our expert teams. 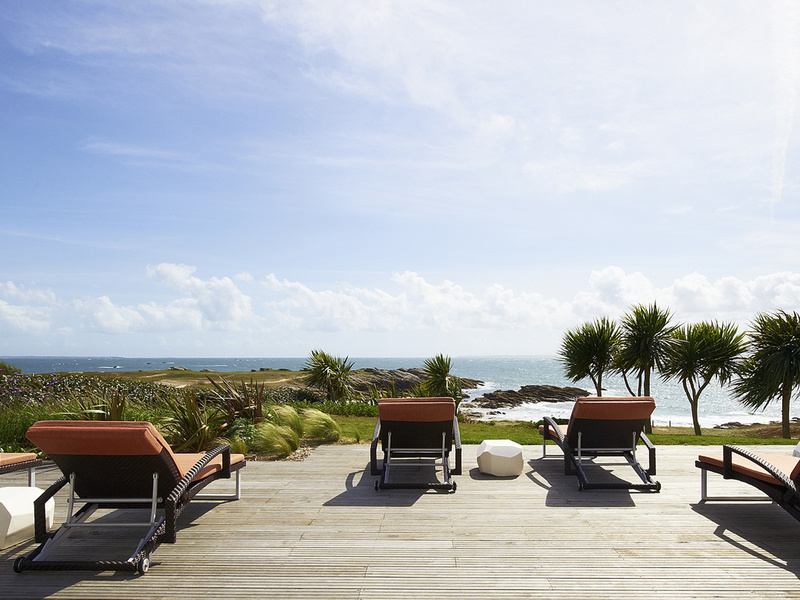 The resort, overlooking the sea on the Quiberon peninsula, is the ideal place to focus on your wellbeing and begin a sustainable weight loss journey. The Sofitel Quiberon Diététique overlooks the ocean and the Îles du Ponant, including the magnificent Belle-île-en-Mer. Explore Brittany during your weight-loss stay and enjoy beautiful walks along the fine sandy beaches surrounding the resort. Hotel closed after breakfast on December 9 until 3pm on December 27. Thalassotherapy Institute closed December 9-27 inclusive. The 73 sea-view rooms at the Sofitel Quiberon Diététique, of which 5 are suites, combine calm, modern comfort and elegance. With a balcony or terrace and exclusive Sofitel bedding, you can enjoy a relaxing and rejuvenating experience. Prestige Suite, two single size beds, ocean view, terraces. At this Quiberon restaurant, treat your taste buds to refined and healthy cuisine with surprising but perfectly blended flavors. Dieticians work with the kitchen staff to create balanced and delicious menus. Settle into a plush blue armchair with a cup of aromatic tea or fresh juice. During the day, natural light fills this refuge overlooking the ocean. Nights are quiet and intimate, the mood heightened by a crackling fireplace and library of books. Quiberon's Institute, specializing in weight loss, has modern, bright facilities for seawater therapy, spa, beauty and wellbeing treatments, in partnership with Aquascience, Biologique Recherche, Ligne St Barth, Jane Iredale, KOS Paris and Leonor Greyl.